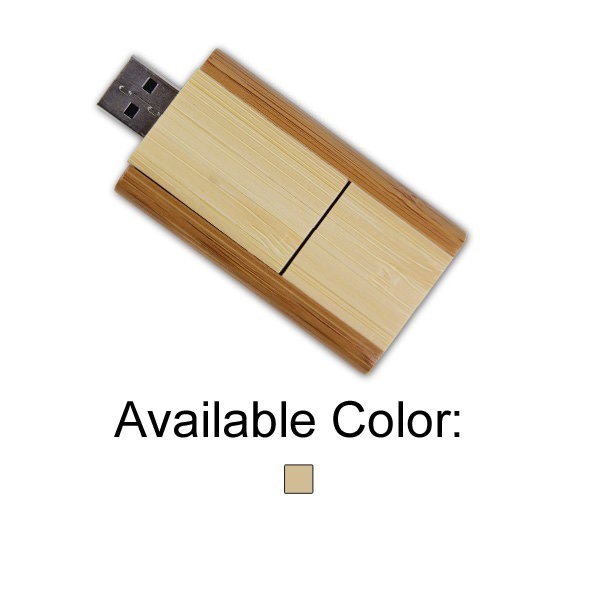 Save your data with environmentally friendly style with the Bamboo Switch promotional USB drive. 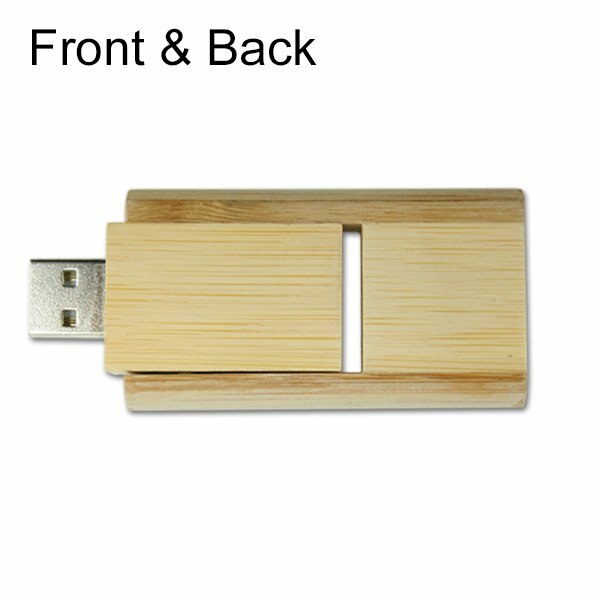 Crafted from actual bamboo wood, this thumb drive offers an integrated swivel cap with a large imprint area. 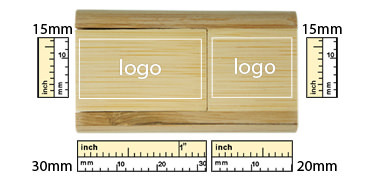 Promo items don’t have to be wasteful; choose sustainable style and usability with the Bamboo Switch. Custom branded drives have been popular for years. Join the green movement with the sustainable Bamboo Switch flash drive. 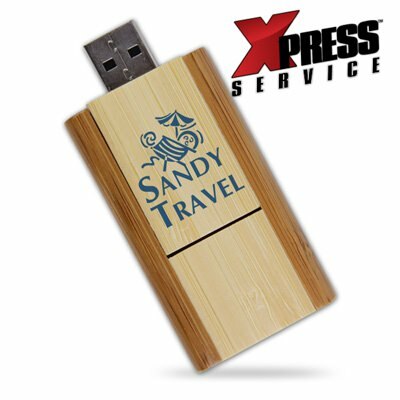 Sporting a unique, bamboo look with plenty of space for marketing your company logo, this thumb drive is sure to get your company noticed while still providing a high quality data storage experience. With a storage capacity up to 32GB, hi-speed USB 2.0, and 10 year data retention guarantee, this promotional USB drive sells itself. Enjoy 4-color printing or laser engraving with ground shipping in the continental US. Turn Times: Xpress in 1-3 Business Days, Standard in 10 Business Days.